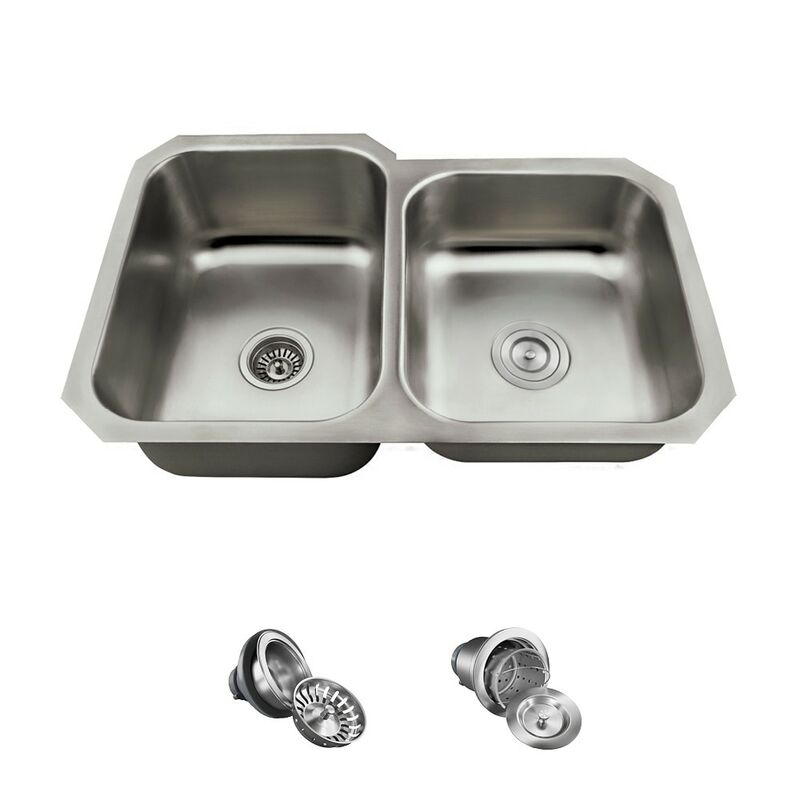 Several advantageous features come together in the versatile MR Direct US1053L stainless steel sink ensemble. Not only does this model have two large bowls, but they are offset and aligned along the front so that a faucet can be tucked in closer to the sink along the back. The larger bowl is 2 inches deeper than the other and both drains are centerset. Made in the U.S.A., the US1053L is constructed of durable 18-gauge, 300-series stainless steel, brushed to a beautiful satin finish. Sound-dampening pads reduce noise and both a standard and basket strainer to collect scraps are all included in this ensemble.